There are now eleven days left until voters cast their ballots in four provincial by-elections on October 27. He is the Premier of Alberta and he does not have a seat in the Legislature, but Jim Prentice skipped last night’s all-candidates forum in the Calgary-Foothills by-election. The event was organized by the Edgemont Community Association. 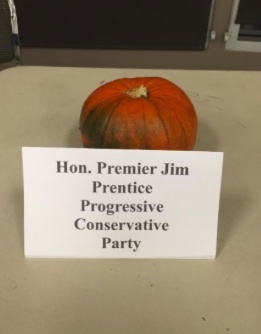 Noting the high-profile candidate’s absence, forum organizers placed a halloween pumpkin at Mr. Prentice’ empty spot at the table. He has held almost daily media events since becoming Premier, but they have all taken place at planned and highly-controlled events. An all-candidates forum is an uncontrolled environment where Mr. Prentice would be forced to engage with his opponents, which could cause potential embarrassment to the new Premier. 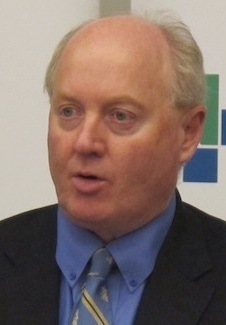 The other candidates running in Calgary-Foothills are Jennifer Burgess (NDP), Polly Knowlton Cockett (Green Party), Michelle Glavine (Alberta Party), Kathy Macdonald (Wildrose), Robert Prcic (Liberal) and Dave Woody Phillips (Independent). Mr. Phillips was also absent from the forum. 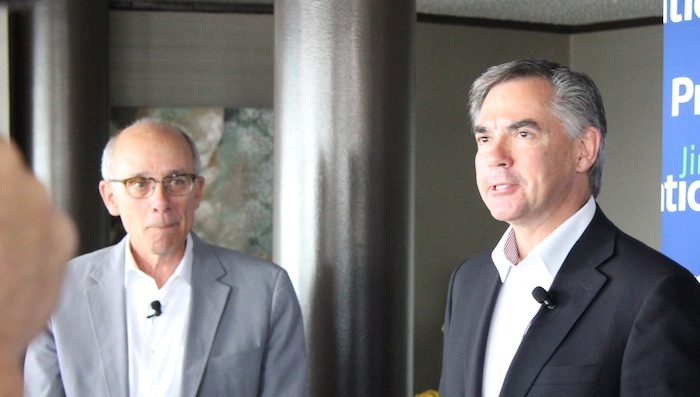 In an press conference designed to keep Health Minister Stephen Mandel in the news, Mr. Prentice joined his party’s Edmonton-Whitemud by-election candidate to make a vague announcement about the opening of more “continuing care” spaces. The announcement provided no detail about how the province plans to address the shortage of long-term care beds, which provide a higher level of care to Albertans in need of longer-term medical assistance. Despite a growing population, the number of long-term care beds across the province has actually decreased over the past decade. 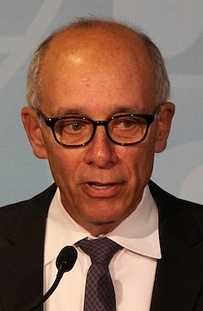 Mr. Prentice used the press conference as an opportunity to repeatedly explain to reporters that Mr. Mandel is a “hands-on minister” (a description he used at least three times during the press conference). 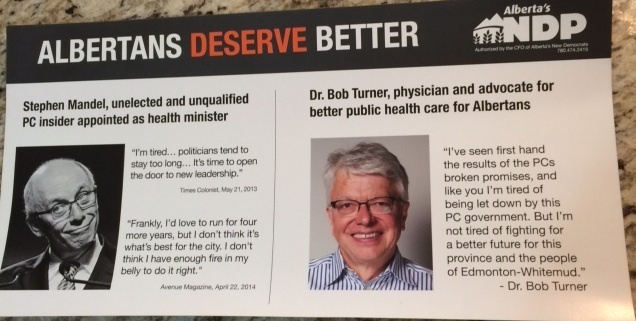 Although the former mayor is widely expected to win the Whitemud by-election, Mr. Mandel has faced pressure from Liberal Dr. Donna Wilson and New Democrat Dr. Bob Turner to address the province’s lack of long-term care beds and to replace the aging and overcrowded Misericordia Hospital. 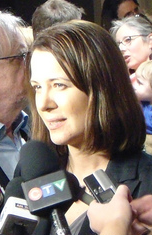 “It’s not just about electing Dirks, it’s about beating Carter too,” a PC Party insider told me this week. 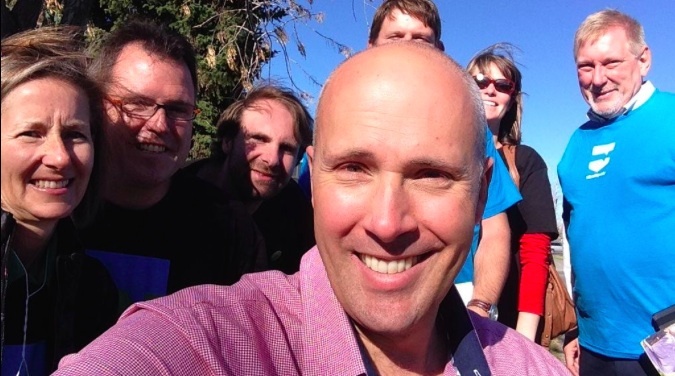 Fighting to elect appointed Education Minister Gordon Dirks in the Calgary-Elbow by-election, the PCs are also gunning to defeat Alberta Party leader Greg Clark, whose campaign is being run by former Tory strategist Stephen Carter. 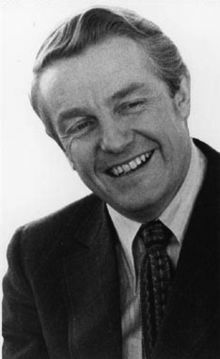 A sort of political mercenary, Mr. Carter was a key strategist in Alison Redford‘s 2011 leadership campaign and Naheed Nenshi‘s 2010 mayoral election. While the Wildrose Party poses a threat to the Tories province-wide, recent moves suggest they recognize Mr. Clark as a threat in this by-election. 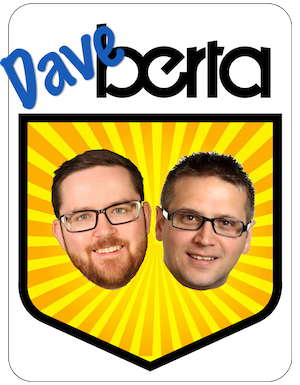 For example, Mr. Dirks’ campaign trotted out an endorsement last week from former Alberta Party leadership candidate Randy Royer. Drawing on the experience of Mr. Carter and a band of local political organizers, Mr. Clark’s supporters say his campaign is showing signs of momentum on the ground. Whether they can translate any momentum, real or perceived, into votes is an unanswered question. Meanwhile, Mr. Dirks’ campaign manager Alan Hallman, apologized for referring to Wildrose Party candidate John Fletcher as the fictional TV Nazi “Colonel Klink” on Twitter. Mr. Fletcher is a retired Colonel of the Canadian Forces Reserves. 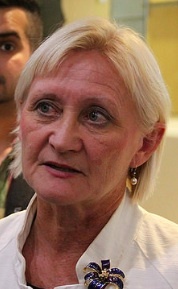 The other candidates in the Calgary-Elbow by-election are Stephanie McLean (NDP) and Susan Wright (Liberal). This entry was posted in Alberta Politics and tagged Alan Hallman, Alison Redford, Bob Turner, Calgary-Elbow by-election, Calgary-Foothills by-election, Colonel Klink, Dave Woody Phillips, Donna Wilson, Edmonton-Whitemud by-election, Gordon Dirks, Greg Clark, Jennifer Burgess, Jim Prentice, John Fletcher, Kathy Macdonald, Michelle Glavine, Polly Knowlton Cockett, Prentice Pumpkin, Randy Royer, Rene Malenfant, Robert Prcic, Stephanie McLean, Stephen Carter, Stephen Mandel, Susan Wright, Tim Grover, William Munsey on October 16, 2014 by Dave Cournoyer.